 Dragonfire, a deck building game by Catalyst Game Labs. 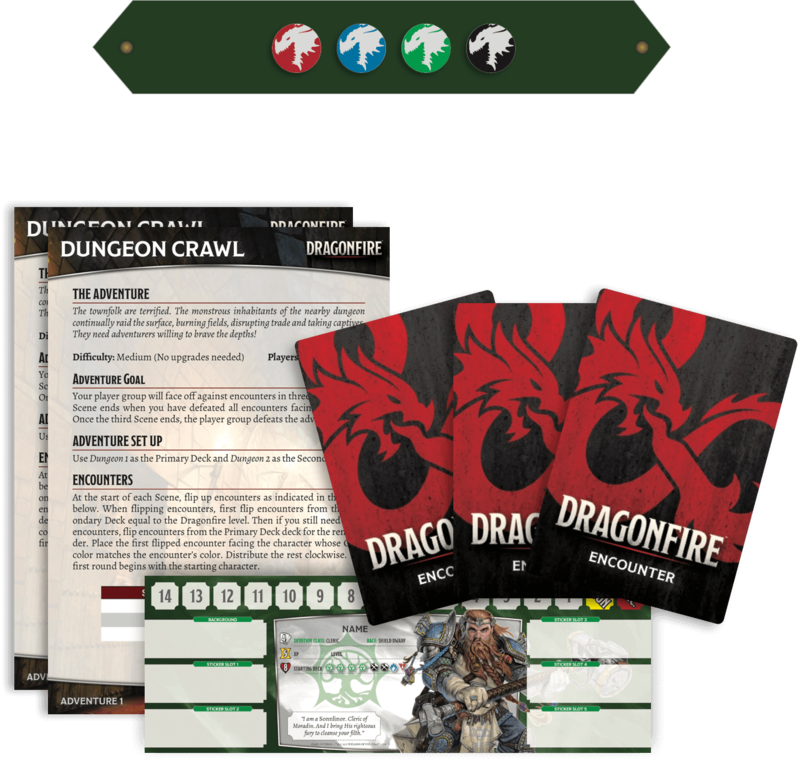 Enter your email above to stay up-to-date on Dragonfire News. The terrifying, abrupt maelstrom of light and sound as skeletons, kobolds, elementals, and worse boil up from hidden caverns to attack—and you respond with steel, magic, and blood! © 2019 Wizards of the Coast LLC All Rights Reserved. 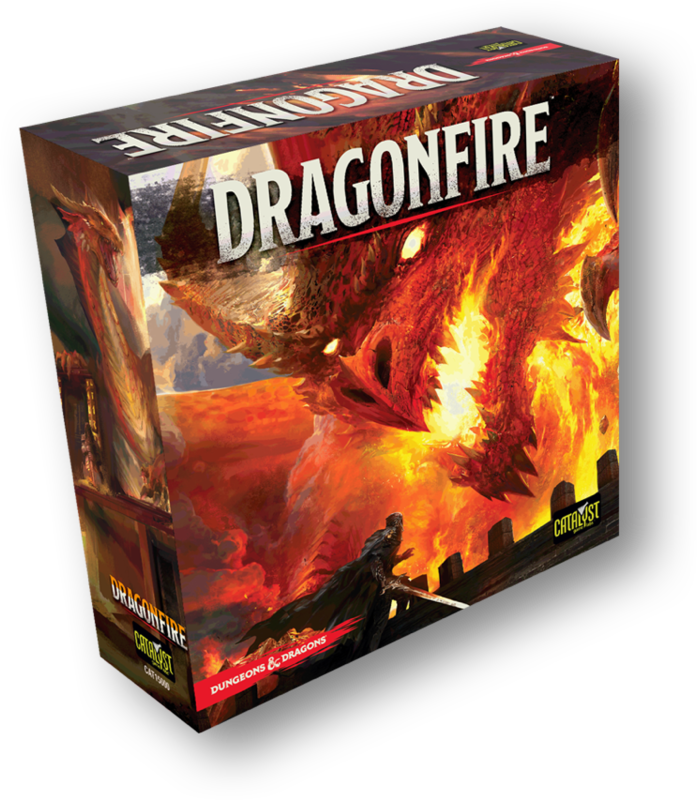 Dungeons & Dragons, Dragonfire, Wizards of the Coast, and their respective logos are trademarks of Wizards of the Coast LLC in the U.S.A. and other countries, and are used with permission. Catalyst Game Labs and the Catalyst Game Labs logo are trademarks of InMediaRes Productions.